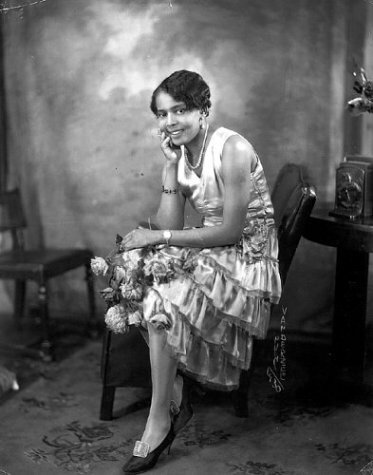 From 1916 until 1969, James VanDerZee operated a portrait studio at various addresses in Harlem. In his heyday, from the 20s to the 40s, he took pictures of prominent Harlem figures like Marcus Garvey, the preacher Daddy Grace, and Adam Clayton Powell, Sr. But in the latter part of his career, he spent more of his time on a mail-order business re-touching and restoring other people's old photographs. The same year that he closed his last location, however, his work was featured in the exhibition Harlem on My Mind at New York's Metropolitan Museum of Art. Although the exhibition was controversial, the attention that it attracted to VanDerZee's work finally brought the photographer, at age 83, the acclaim he deserved. This intimate catalogue recalls the environment in which VanDerZee worked and lived. While he did make portraits of local celebrities, including the stars of the many legitimate theaters open in Harlem before the war, his real bread-and-butter were clients from the community's thriving middle class. Despite laboring under related commercial constraints, VanDerZee pursued his work with imagination and verve, photographing his clients before elaborate backdrops or sets, making complex group portraits of Elks' lodge members, jazz bands, and ladies' clubs in their own settings.